A Birchington councillor has been one of the guest speakers at a major conference for survivors of childhood sexual abuse. 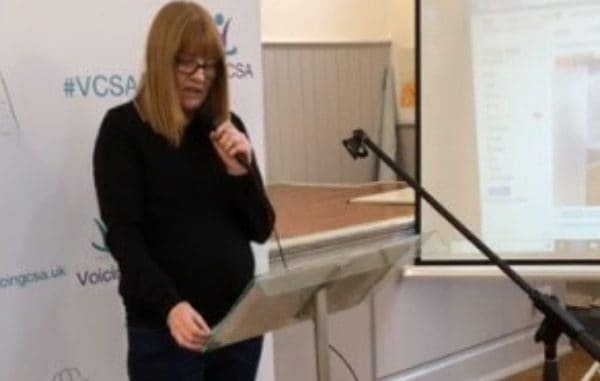 Mum-of-two Suzanne Brimm was invited to speak at the Voicing CSA event in north London last weekend because of her work with a mother fighting for justice after her boys were targeted by paedophiles. Two of those responsible for the crimes are now dead and another, Arnold Bracs, was jailed for life, with a minimum tariff of 15 years, in 2013 but it was not until this year that Kent County Council apologised for failings to investigate and an ‘unacceptably long’ delay in interviewing one of the young victims. The family are hoping further victims of Bracs, who had 12 previous convictions, will come forward. During the conference Cllr Brimm also spoke about the duty of care for councillors and MPs and accused North Thanet MP Sir Roger Gale of not acting enough on the mother’s appeal for help. Sir Roger said the allegation was “a malicious libel,” but that he does not ever comment publicly on confidential constituency case work. Cllr Brimm says she took on the family’s case some six years after they first tried to get help. Cllr Brimm said the media coverage of the family’s case had given others the courage to speak out. Voicing CSA works with survivors to speak and to be listened to and to find the proper channels to help them in recovery.